On the famous Costa del Sol of Spain is the Club Delta Mar, located between Marbella and Fuengirola. This sunny stretch of coast along the Mediterranean Sea has been the playground of the rich and famous for decades and is one of the most popular family vacation destinations in Europe. The resort is surrounded by beautiful buildings, art galleries, bistros and bars as well as boutique shops and the famous nightlife. When you find one of these Costa del Sol timeshare resales, you have the opportunity for vacation ownership in this world-class destination. The entertainment and recreation is limitless with water parks, zoos, amusement parks, and scores of championship golf courses. There is also the Picasso Museum, the Cathedral de Málaga and the Caves of Nerja, just to name a few of the exciting things to see in the region. 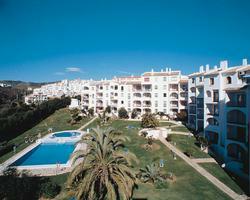 Costa del Sol timeshare resales offer a variety of holiday homes, with the best at the Club Delta Mar. You may choose a two or three-bedroom unit with fully equipped kitchen and one or two bathrooms. The resort is surrounded by beautifully landscaped gardens, and you will have a patio or balcony with a view of the grounds. 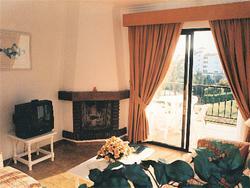 Your holiday apartment will have attractive modern décor, satellite TV and many other amenities. You can expect mid-week towel and linen change. The Club Delta Mar has a swimming pool with poolside bar, a fitness room, mini-golf, billiards or pool table, sports courts and more. There is also a playground and children’s activities on-site. Nearby there are casinos and nightlife, endless water sports, tennis courts hiking and biking trails and the gorgeous beach. Vacation ownership at Club Delta Mar is a lifestyle investment for you and your family. Whether you want a weekend getaway to play some golf, or a full family vacation every year in this first-class destination, owing a timeshare is your most cost-effective opportunity. Not only are you guaranteed a luxury vacation at an affordable price, you can exchange your timeshare for a comparable on in a different location, whether you want to spend your vacation skiing or visiting a major city such as Las Vegas or New York. Contact Club Delta Mar Specialist Today!